Mist is a Calico stallion, a peacemaker. He is abit timid, who keeps to himself but gets along with everyone. Mist is a kind red roan overo stallion, born in 1995 in some of the most expansive and remote rangelands in Northwestern Nevada’s Great Basin, the Calico Mountains. For generations, ancestors of cavalry and ranch horses have been surviving in this remote and challenging habitat. They have adapted to this environment and returned to a natural state. They are a vital link to our Great Basin heritage. He was born and grew from a colt to a stallion wild and free in the Black Rock West Herd Management Area until his capture in 2010. On Jan. 20, 2010, Mist was captured in one of the most controversial roundups of the decade. Almost 2,000 wild horses lost their freedom and more than 140 horses lost their lives as a direct result of their capture. 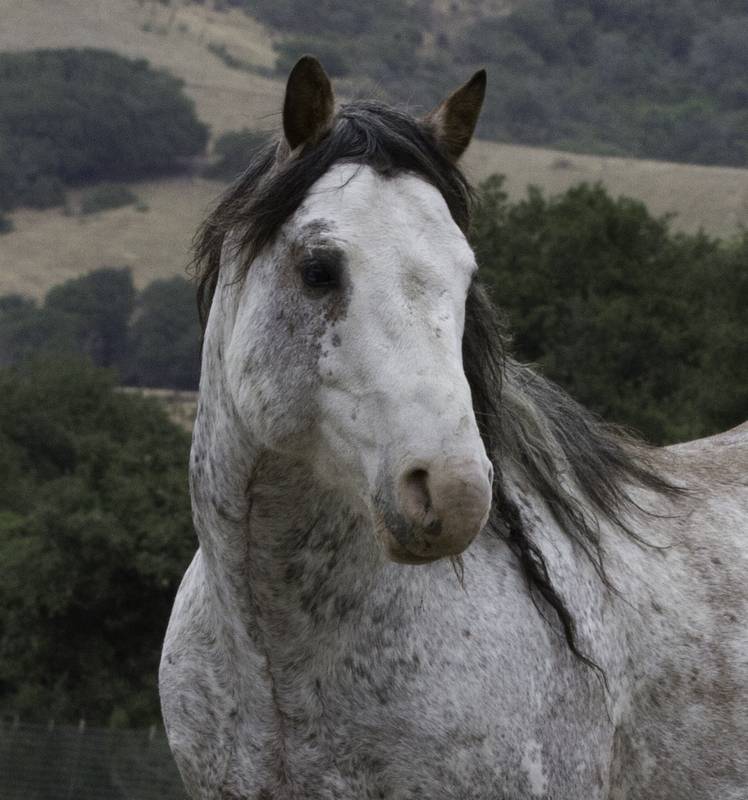 Today, Mist and several other stallions captured in the same region live at Return To Freedom’s sanctuary on California’s Central Coast. Mist is a peacemaker with almost a mystical quality about him. He is almost timid, staying out of everyone’s way. Our Sponsor a Horse program is an automatic monthly donation program. It only takes a moment to sign up and your debit or credit card will be automatically billed each month. You can cancel at any time. Will you help Return to Freedom by sponsoring Mist?